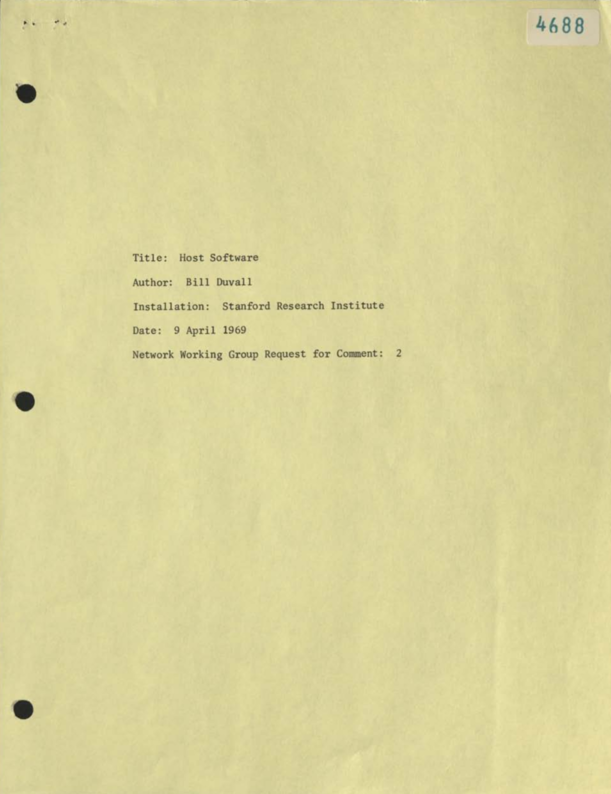 While the RFC Editor site has scans of many early RFCs, they do not host scans of numbers 1 through 7, and this is the first I'm aware of these being made available online for public viewing. These first nine RFCs number 98 scanned pages! There's something beautiful and almost biological about these drawings, presumably made by Steve Crocker. It looks like the kind of thing you see on the whiteboards at School for Poetic Computation! 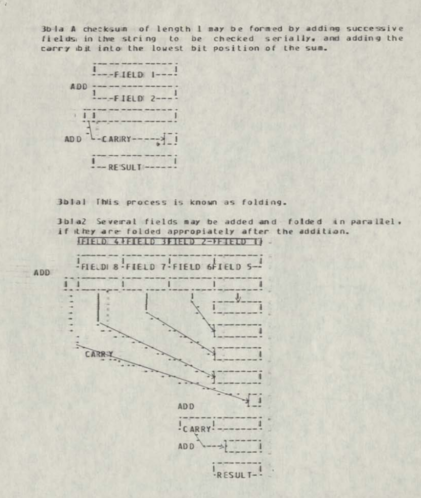 This is almost faithfully reproduced in the ASCII transcription from the 90s, but the original version is blockier and it's also got pen drawings overlaid on top to make the lines seem more like lines. 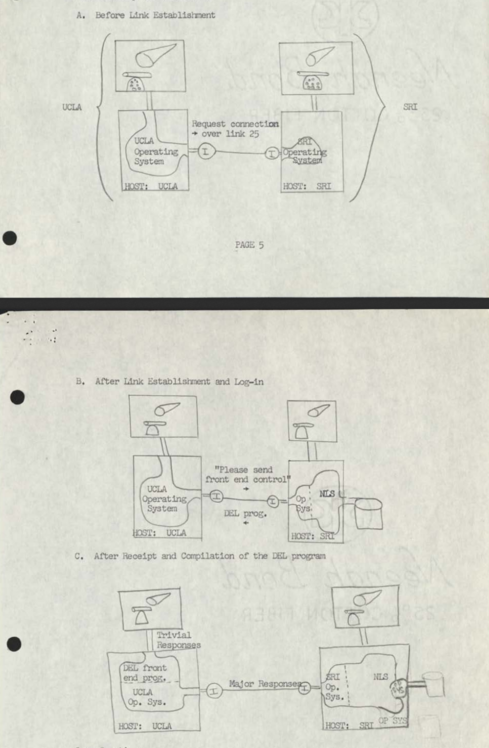 The hand written version of RFC-8 matches the version hosted on RFC Editor, with one important addition: there is also a full transcription provided by ARC! This is a contemporary transcription of a document that is really hard to read and would be a great source for an official, normative transcription of RFC-8 for the series (this is one of the only hand written RFCs that was not transcribed to machine readable text by the late 1990s).